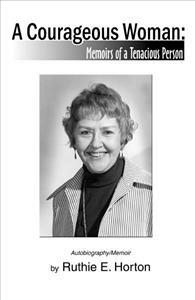 It may seem more like fiction to today’s generation as the author tells with candor and humor of her memoirs of 84 years. The readers will sense the tenacity with which she moves onward from rural Appalachia into and through the professional and corporate world. Her audience should be those looking not only for entertainment, but also for inspiration to lead a courageous life in the face of adversity. They will enjoy and gain a durable effect in their lives from her positive attitude, inner strength, tenacity, and sense of humor. The author once read, “Every time an old person dies, a library closes.” She should like to contribute some pleasure and encouragement to as many libraries as possible before another one closes.